Video game review number one hundred and eighty two in my 365 Games in 365 Days project is "Press Your Luck". 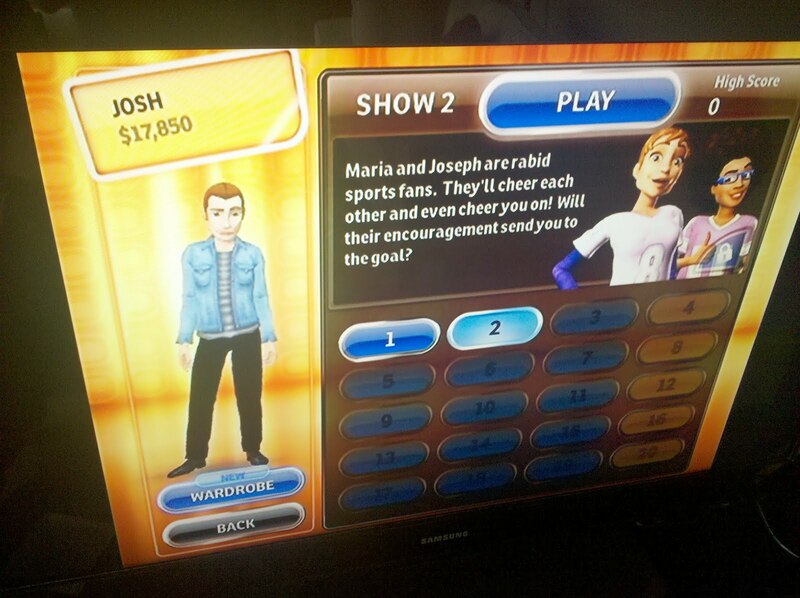 Sometime last month, I played the Price is Right game. In my review, I mentioned that it was a pretty terrible game, and a poor substitute for the real thing. 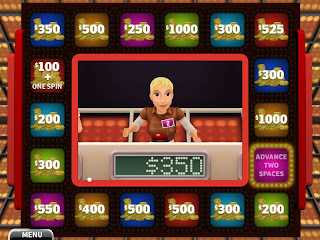 Press Your Luck is actually a better video game than the Price is Right was, but I suppose that's not saying much. You really only "control" two things with your Wii-mote, (selecting a multiple choice answer to a trivia question and spinning). It reminds me of one of those "CD+G" games of the early 90's, and as far as graphics go, it's really not much better. Very often, instead of cash or prizes, a "Whammy" (a little gremlin) will come up, and when he does...he takes all of the money you've won, sending you back to zero. When I watched this as a kid in the 80's, the Whammies were my favorite part of the show. I couldn't wait to see one come out and steal someone's money. As a "contestant", this makes the game incredibly frustrating, and turns it into one based on luck instead of skill. I played through 4 full games of this, trying to eek out a win. The first game, I won more spins than everyone, which seemed to actually be more of a curse than a blessing. I kept getting "Whammies", so finally I built up an amount of money I was happy with and passed my remaining spins to a computer, hoping they'd share my luck and get a whammy too. The computer had flawless luck and used my spins to get a huge win. I played four rounds and the result was always the same. 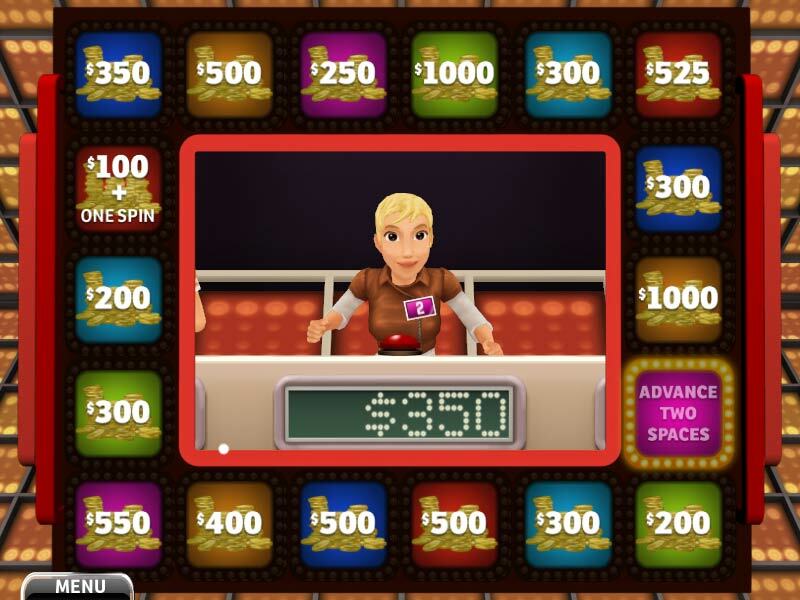 Whether I got the most spins (or threw the trivia round and got the least)...I would accumulate some decent amount of money, then I'd get "whammied". I tried passing to the computer, but they wouldn't get the whammies. The same stupid computer lady won each round (even though I'd answered more questions correctly than her). Then I saw that saw that there were 19 more "rounds" to go.